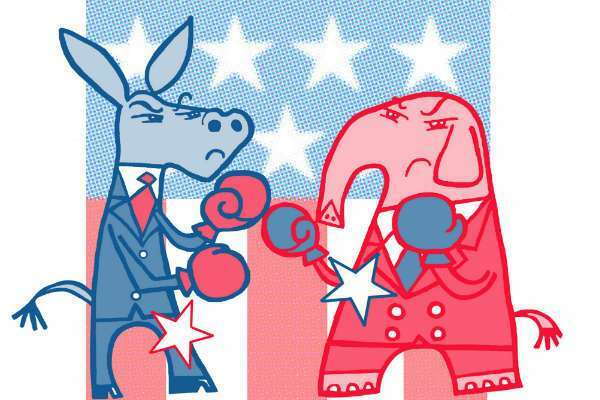 The dual between parties have been a rivalry for decades. But since Donald Trump took office, now people are fighting more than ever. I spoke in a recent post regarding the shooting of the United States Congressman Steve Scalise. The motive behind the shooting was the shooter’s outrage at the Republican party. But dissatisfaction is not enough to pull a gun and shoot a politician. Yet some of these are the same people who are anti-Trump. Then you have his (Trump) support system which have engaged themselves in similar behavior. So what is it? Don’t people see themselves when they behave in this manner? Don’t people see that in violence your fight is lost.? You have people want freedom yet, want to restrict what you say. You have those that want tolerance, who themselves have limited tolerance for others. And a lot of the hypocrisy that we engage ourselves in, we don’t see it from our own point of view. To us, the way we behave is completely fine. Because the decision make sense in our minds, so no one sees themselves as irrational. Yet, that is what we have in America today; irrationality. So, what will it take to bring people back to their senses. Because what we’re doing now is proof that not an outsider, but we are our own enemies. It will take the backing of our leaders to reassure the public that everything will be ok. And that is something I don’t hear too much from Donald Trump. He is quiet, and when he does speak, it’s usually some sophomoric, smug commented directed at the media. But, will this stop people from behaving a certain way. My best guess is no; they’ll not like him no matter what. Nonetheless, the people have conflict with each other in America. Friendships and relationships have ended, even families are on opposite ends of the spectrum. And what’s really sad, is that long after Trump has left the White House, people’s lives will still be fractured. And still people can’t see themselves. People can’t see themselves so much so that the dominant society’s actions have become more incendiary than the people they fight against. It almost makes Trump and Pence look normal compared to their support and adversaries. In the end, is it all hate, or are most people worried. Worried about their rights, their families rights, or maybe it’s because of the unpredictability of our future and economic situations. People just sit around worrying themselves and living in fear. Fear for a future they had hoped to see which may inevitably boil down to nothing in the end.